My husband had his truck fixed there and they did a great job!!! Since then, the truck runs great!! Will always go there for all our truck needs!! Hello from the Greek!! Came roadside and helped get us back running. Very knowledgeable with 5.9 Cummins and all other diesels. Just got our motorhome inspected and washed at Eller Diesel Truck & Trailer Repair!! Such great people to deal with and reasonably priced!! Would recommend them for ANY automotive work!!!! We use them for ALL service on our diesel pusher RV. Friendly, reliable, VERY fair pricing, and they go the extra mile for tricky problems. Great customer service; very friendly folks. Truck stayed for 24 hours, and they gave me a ride and came and picked me up from the motel after repairs were made. Hghly recommend this place!!! Thanks. Had a small issue. I called in the morning, and they answered right away and told me to come in. Got there that afternoon and they jumped on it right away and got it taken care of. Would definitely recommend these guys. No BS. Straight shooters. The company I work for NYX uses them to keep their fleet of 9 trucks running and fully maintained to complete the task that the trucks are called to do at any time rain or shine and in between. Always excellent service, and they go above and beyond to make sure this company stays trucking. Never been let down. Highly recommended. Great team over there. 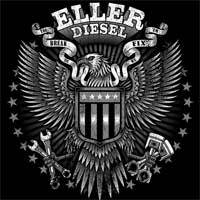 These guys at Eller Diesel Truck & Trailer Repair are better than the best! They do quality work and stand behind it, too. If you are in a jam, they do their best to get you in and out if possible. Highly recommend!! Best shop I have been to. Was in and out in less than 1 hour. Best of all, the bill was only $59.50. Will be back if other work is needed. Customer service was fantastic; everyone was welcoming. Will be going back when I need diesel service.